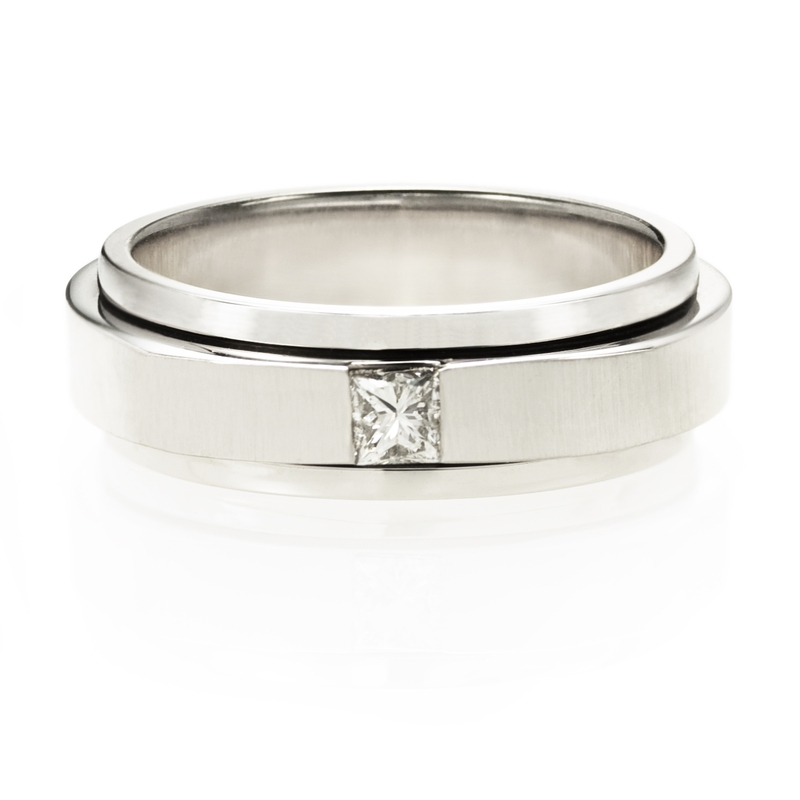 Diamond Details: One princess cut white diamond of F color, VS2 clarity and excellent cut and brilliance weighing .22 carats. 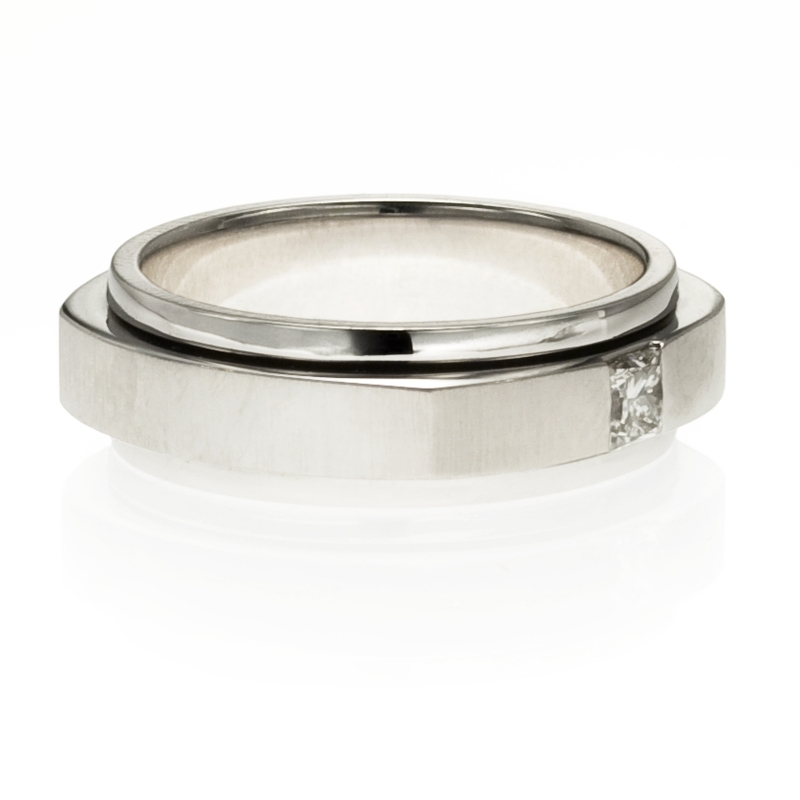 Ring Details: 18k white gold with satin and polished finishes. Measurements: Size 9, and 7mm wide. 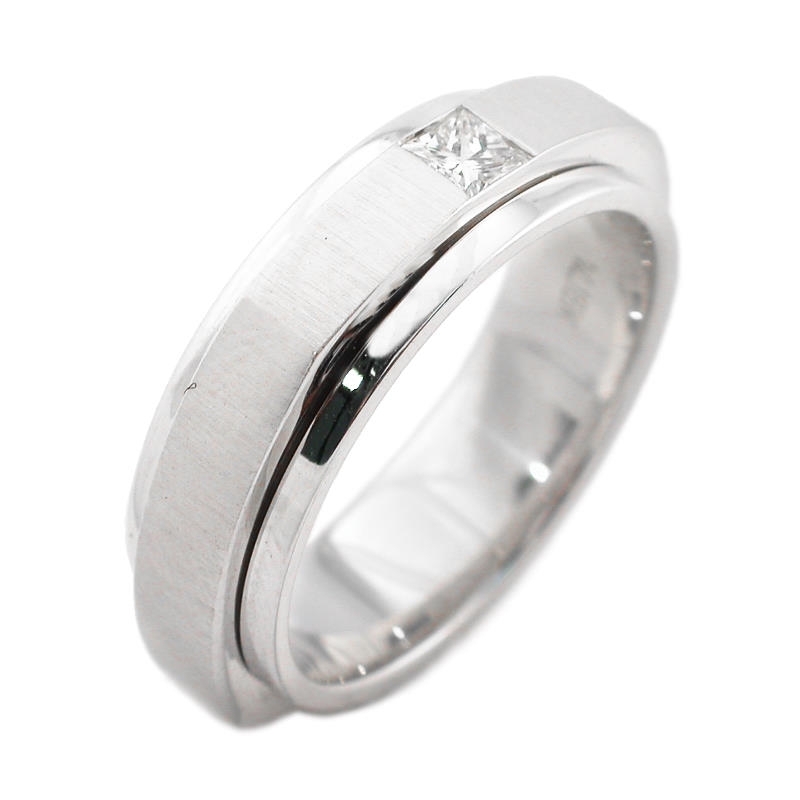 This handsome ring is sizable to most finger sizes, some of which may require approximately 3 weeks for delivery. This handsome men's 18k white gold wedding band ring features one princess cut white diamond, of F color, VS2 clarity and excellent cut and brilliance weighing .22 carats. 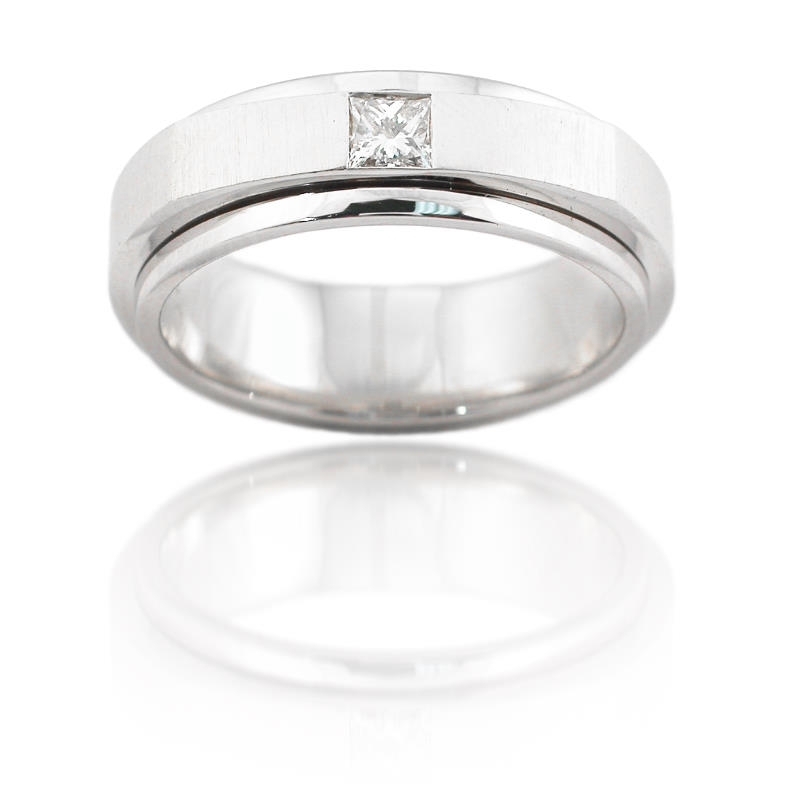 Satin and polished finishes add impeccable character to the sharp design. Measurements are size 9 and 7mm wide. 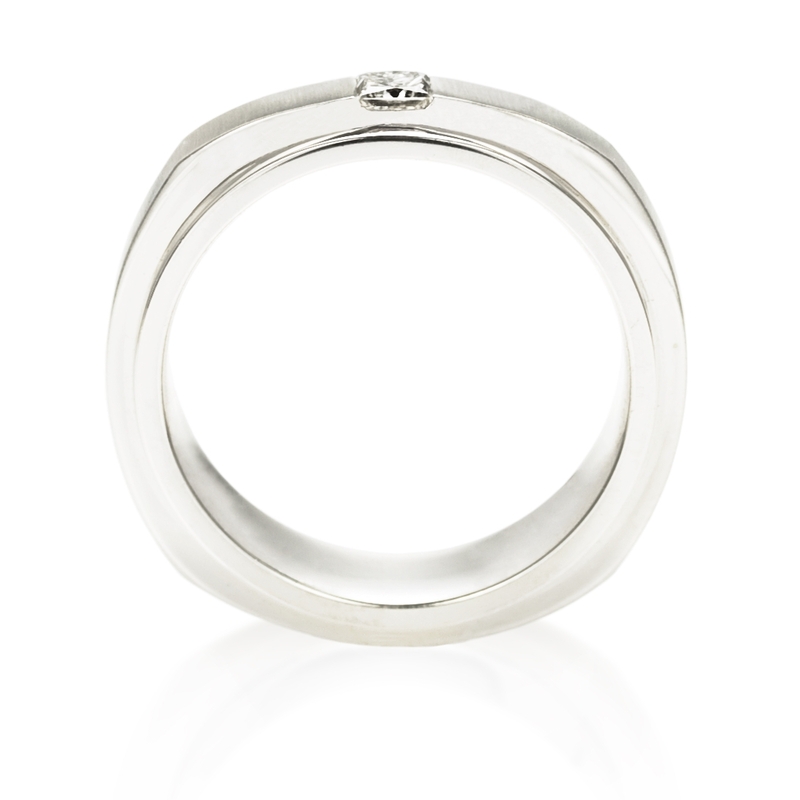 This ring is sizable to most finger sizes, some of which may require approximately 3 weeks for delivery.